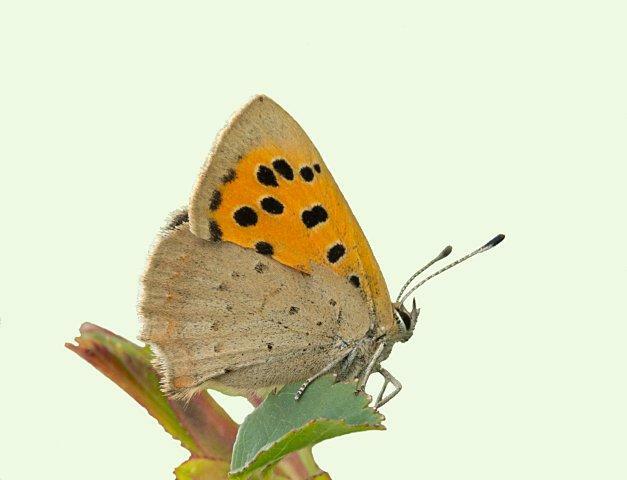 This easy-to-identify little butterfly has bright orange upper wings that sport black markings and borders. The upper side of the hindwings are greyish brown with orange in the trailing edge. The underside of the forewing is similar to the upper side but without the black border. The underside of the hindwing is also grey brown with a few black spots.